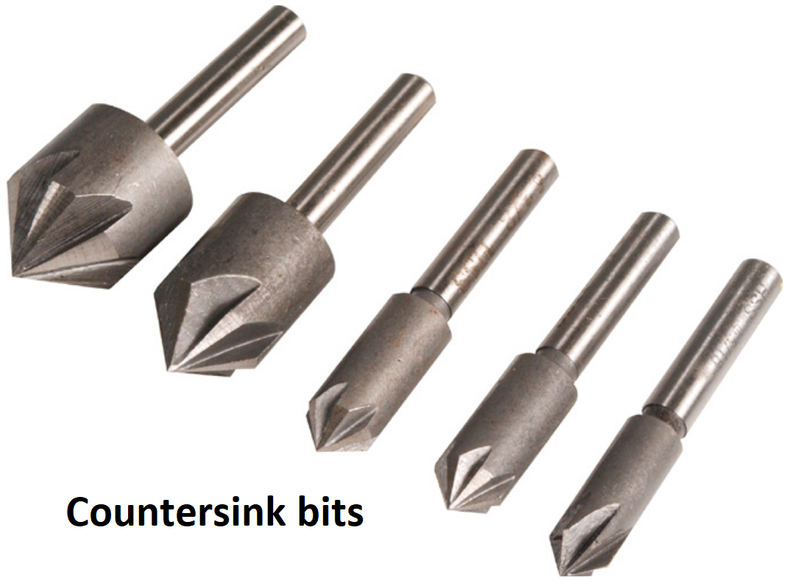 What is the difference between a Countersink and a Counterbore? Countersinks and counterbores serve the same purpose, to allow the head of a screw or other fastener to lie flush with, or just below the surface of the material into which they are inserted. The difference between them is the angle at which the larger hole is drilled. 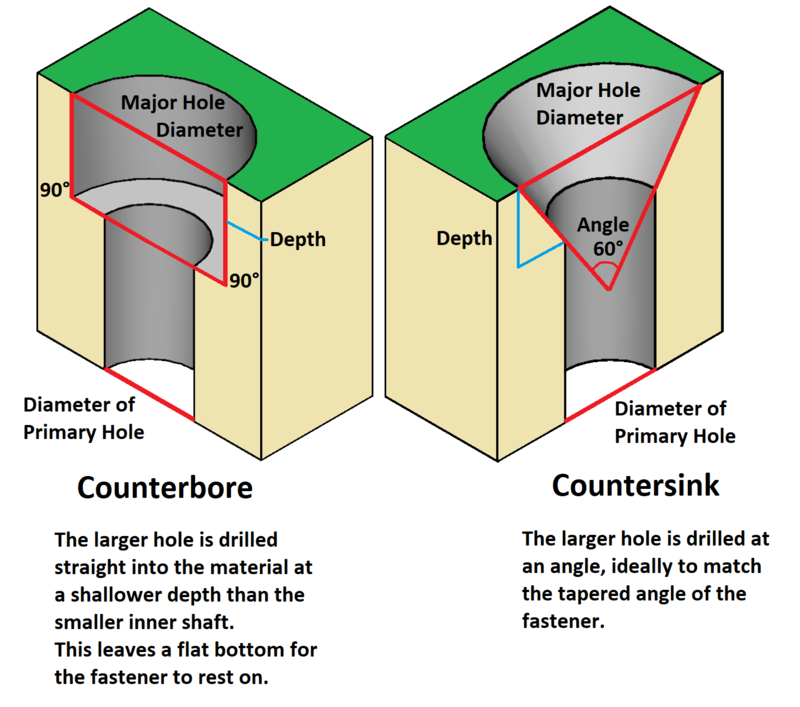 A countersink's larger hole is tapered at an angle; whereas a counterbore is drilled straight into the material and leaves a flat bottom between the counterbore and the narrower inner shaft. The information needed for each type is almost identical with a few exceptions. 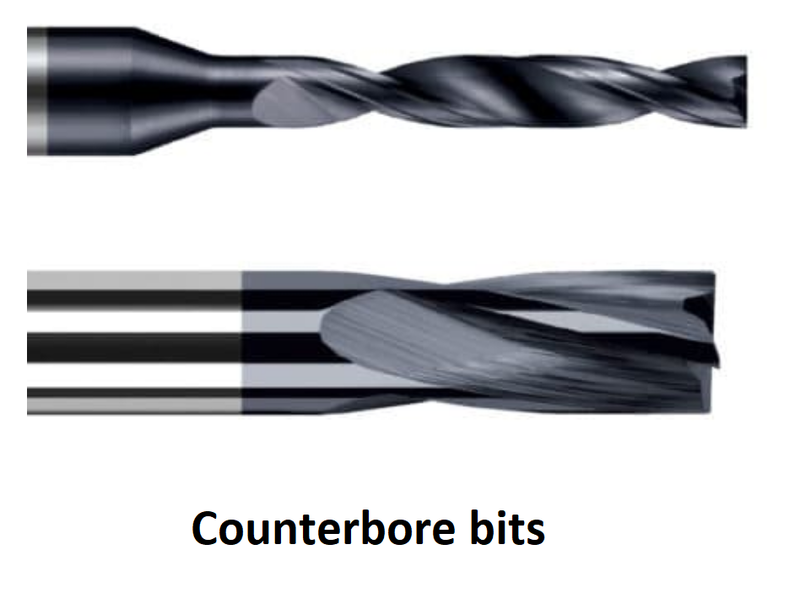 A counterbore, by definition, is drilled straight down with no taper, so we don't need to know the angle. On which side of the board is the bore? Top or Bottom? Should the hole walls be plated or non-plated? Since a countersink is not drilled straight into the material, we need to know the intended angle. For all the math nerds out there, you've no doubt noticed the major hole diameter and the angle form a triangle. The depth the countersink will be drilled is predetermined by the angle, major and primary diameters, however listing your expected depth is a good reality check. On which side of the board is the sink? Top or Bottom? Angle of the tapered drill. Depth the countersink is to be drilled.